So much of our daily lives involve applying for credit and maintaining the payments that it can be enough to leave your head spinning. Your credit rating controls everything from your living arrangements to what TV package you are allowed to have. So, what is a credit score? Very simply, your score is a reflection on what financial obligations you have and how you have maintained them. Even everyday things that you take for granted, such as paying for your car insurance monthly, have a credits rating consequence attached to them. As a general rule, if you pay for it monthly then it is on credit. If this is the case, then it helps to generate your credit report. The rating is the end result of how well the finances have been managed. If all of these things are paid on time then your score will rise. The healthier your rating is, the more favourable and attractive financial offers you will be eligible for. Then there’s the negative aspect of it. If you fail to keep to the terms and conditions of these various forms of credit then it will have a negative effect on the score. The worse your score is, the harder you will find it to apply and pass for new credits and the terms and conditions you will be offered will be nowhere near as good as if your rating was better. You may be able to complete a credit file clean up if you have outstanding debts or payments which you have not settles. If you are concerned or even curious about your own rating then you’ll want to know how to check your credit score. Fortunately, it couldn’t be easier to do this and there are now many different ways to acquire it for free. The important thing to realise is this; there is not one universal scoring system that the financial institutions all use. They all use their own methods and scoring systems to determine whether they think a person is worthy of being credited or not. What one lender may seem as a risky prospect another lender will be perfectly fine with. So how do you determine a rating from this? There are three main agencies that the vast majority of lenders will use as a basis of a person’s financial history. These are Experian, Equifax and Callcredit. In keeping with the ‘no universal system’ theme, these three agencies all have their own scales, so it’s a good idea to do a check with them to get a true idea of the state of your finances. Alternatively, you could check out other services such as the Credit Angel site if you want to see other options. The way to do this is to go to their respective websites and sign up for their services. If you want a basic report then this will be free, but if you want a more in-depth analysis then you may have to pay for the privilege. If you were wondering why you would even want to check your credit score, it’s because it is the key to a lot of aspects of everyday life. Your financial rating has the power to let you apply for credit and pay for things gradually and manageably if it is managed correctly. If it’s not then it can have serious consequences on your ability to even get something a simple as a mobile phone contract. In extreme cases your report. Find out more on employment credit reports if this is something you are concerned about. If an error has been made on your credit report or if something is still on that should have been removed, then it will negatively affect your scores. If you are applying for as life-changing as a mortgage, your ability to apply for and obtain an excellent package may be hampered through such discrepancies. Something as simple as this can have a devastating effect on your individual ratings and your ability to attain finance. This is why it is so important to check scores. The Experian Score range runs from 0 to 999 and it is compartmentalised into different ‘zones.’ The table below illustrates these zones and what they mean in real terms. Also view our Experian CreditExpert review here. The Equifax Score range differs from the Experian score range. It runs from 300 to 850 and the table below illustrates what each score means. See our review of Equifax to learn more about their services. What is a good Credit Score UK? With all the agencies using different methods of coming to a conclusion it can be difficult to understand what a ballpark figure is. So, what is a good credit score in the UK? With Experian, a good result is 700 and above, whereas with Equifax it is 660 and above. Noddle, who provide the scores for CallCredit have a scale of 1 to 5 and anything over a 3 is considered a good score. As there is no one universal scoring system, there is no one universal rating to aim for. If you are keeping tabs the three scores then these are the figures you should be aiming for. It’s common for companies to look at your financial history if you are applying for credits. For example, a mobile phone credit check might be done by a provider to see if you will be able to keep up payments on a contract. 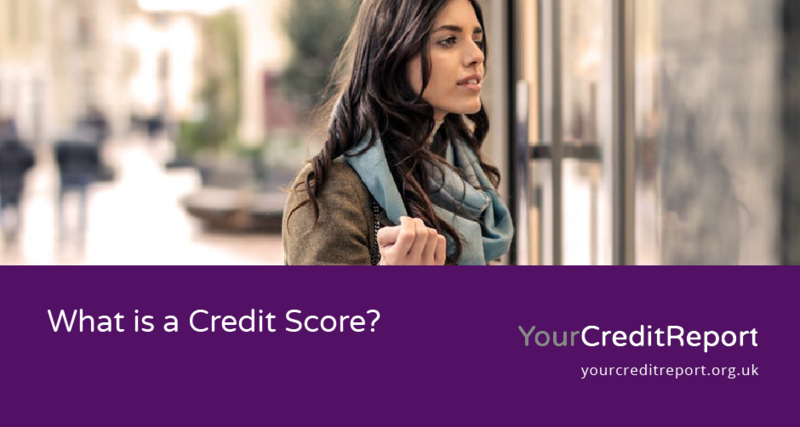 A free credit score check is available from all three of the agencies. All that is involved is providing a few details such as name and address and answering a few security questions. The big three will provide you with your credit rating for free, but if you want a little more in-depth information then you may have to pay for the privilege. There are plenty more brands online which offer these kinds of services. For example, see our review of Credit Reports Matter to learn about this particular site. This is why it is important to keep track of all three of your scores. The lenders use them in different ways and in different combinations. One lender may use Equifax and CallCredit, another may just use Equifax, so it’s important to make sure that all three figures are the best that they can be. You can also use these services to have a look at the report yourself and see if there are any outstanding issues. Sometimes people will check online for CCJs to see if they have any judgements on their file which need to be sorted. The lender then decides how to use this information. Each lender will interpret the result differently and this will not only determine if you pass or not, but also what terms and conditions you will be offered.